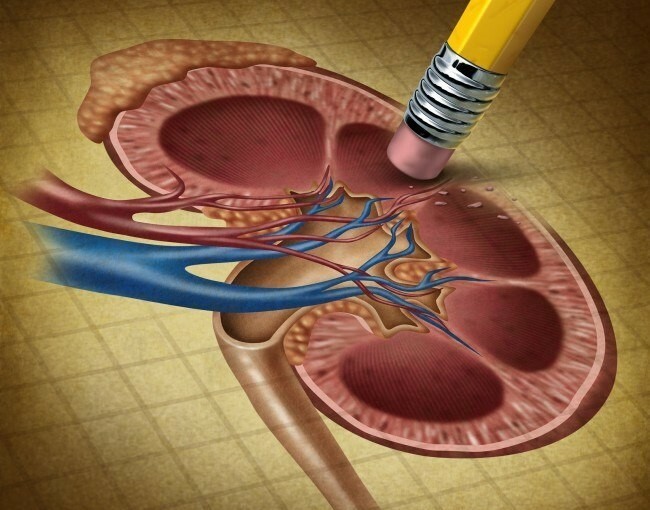 Chronic kidney disease, or chronic kidney failure is a condition where your kidneys have been damaged and do not perform their primary functions at peak capacity. 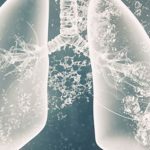 In addition to the aforementioned duties, the kidney’s most well-known function is to help filter the blood of various toxins and excess byproducts of metabolism. Stage III: Your GFR is significantly reduced (30-60). We really need to be aggressive about controlling your risk factors. Stage IV: GFR is 15-30. At this point you have severely reduced kidney function. We need to start making preparations for dialysis as it is imminent. Stage V: GFR is less than15. You have very severe kidney dysfunction and dialysis will likely be initiated soon. But why does this belong on a heart blog? First, we are medicine doctors and concern ourselves with the whole person. Second, the heart and kidneys are more related than simply sharing a job. The disease processes that affect one will also affect the other. The two main causes of chronic kidney failure are hypertension and diabetes which are also two of the leading causes of heart disease. Persons with chronic kidney disease have a much higher risk of cardiovascular events including heart attack, stroke, heart failure, peripheral artery disease and death than the general population. Symptomatic carotid artery disease. We consider symptoms either a transient ischemic attack (TIA) or stroke felt to be caused by carotid blockages. Diabetes mellitus. This becomes increasingly true as you become older and/or have had diabetes for longer periods of time. 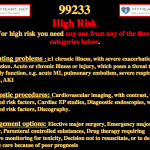 A Framingham risk score of >20% which suggests that your risk of developing significant cardiovascular disease in the next 10 years is greater than 20%. Interestingly, chronic kidney disease (CKD) seems to confer a similarly powerful risk of cardiac events. The association between chronic kidney disease and coronary disease is so powerful that some are calling for it to become our next CHD equivalent. Do not worry. The same treatments that your physician implements to address your CKD serve a dual purpose. There is significant overlap between the goals of care for both CKD and coronary disease prevention. The first step will be to check your urine for certain proteins. If you are above a certain threshold, then your doctor will probably be less tolerant of any level of hypertension. 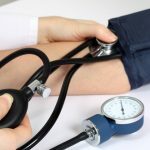 You should not have a blood pressure of higher than 140/90 mmHg and if your urine protein levels are high then we are even more strict with a target of less than 130/80. 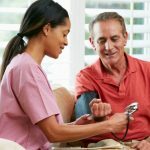 How your physician achieves that target blood pressure is generally less important unless your protein levels are high OR if you carry a diagnosis of diabetes. In that case, an angiotensin receptor blocker such as Benicar, Micardis or Avapro is is in order. Alternatively an angiotensin converting enzyme inhibitor such as Mavik or Altace can be used. As always, the nonpharmacologic interventions are appropriate and should be used as a supplement to any prescriptions. Diet and lifestyle management has always been important but is even more important at this juncture. The American Heart Association recommends at least 30 minutes of moderate intensity exercise at least 5 days per week or 25 minutes of vigorous exercise 3 days per week (or some combination). If you are overweight, you should strongly consider a dietary program to help you lose weight. Too much salt (sodium) is bad for your blood pressure. This is particularly true when your kidney function is diminished. If you are a smoker then smoking cessation is in order. Your blood sugar must be under control consistently. 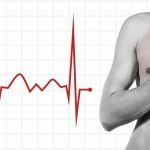 The use of aspirin for primary prevention of cardiac events should at least be discussed with your physician. If you have documented coronary artery disease or a CHD equivalent, then ask your doctor about your LDL (low density lipoprotein) or bad cholesterol. A lower value, less than 100 or preferably less than 70 under the proper circumstances may very well save your life. Many medications that we routinely take can be harmful to your kidneys and should only be used in moderation or not at all. Some medicines such as ibuprofen or Aleve are not expected by many patients. Some prescription medications can be problematic as well so a good relationship with your primary care physician can be invaluable. If you have at least moderate kidney dysfunction, then your immune system can be considered somewhat compromised. Your physician may encourage you to undergo regular immunizations. Specialized kidney imaging such as ultrasound can help your doctor determine nature of your kidney disease. Sometimes the cause is structural and can be corrected with a procedure. I can relate to this article because I had big problems with my kidney health since childhood. Then I did something different and it allowed me to take control of my health. I went from Stage 4 to Stage 3 kidney disease and I don’t want to stop on this Stage.